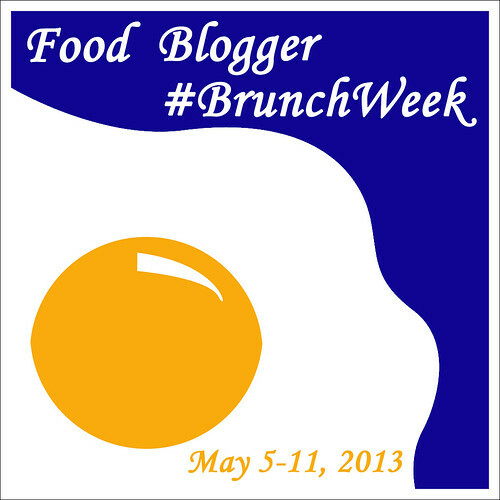 May 8, 2013 - For the Food Blogger #BrunchWeek, I signed up to post a meat/main dish today. 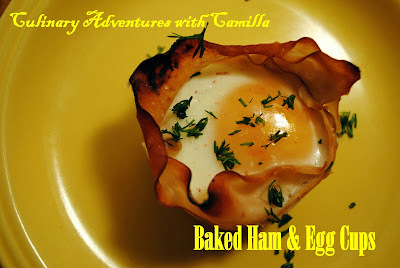 A couple of weeks ago I whipped up these baked ham and egg cups for a quick, easy, and hearty breakfast. They were a hit! 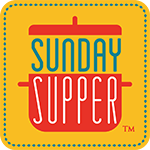 Preheat the oven to 400 degrees and lightly grease your muffin cups. Lay one or two pieces of ham into the hollows, making sure that there are no gaps or whole. Gently crack your eggs into the ham. Bake until the eggs are the consistency that you like. I did ours for 20-22 minutes. The yolks were still soft, but the whites were firm. Perfect! Garnish with freshly ground salt and pepper. Sprinkle with fresh chopped herbs. 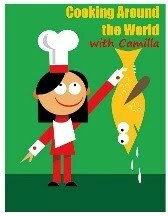 I used dill. And since they reminded me of flowers, I added some orange wedge "leaves" to the plate. 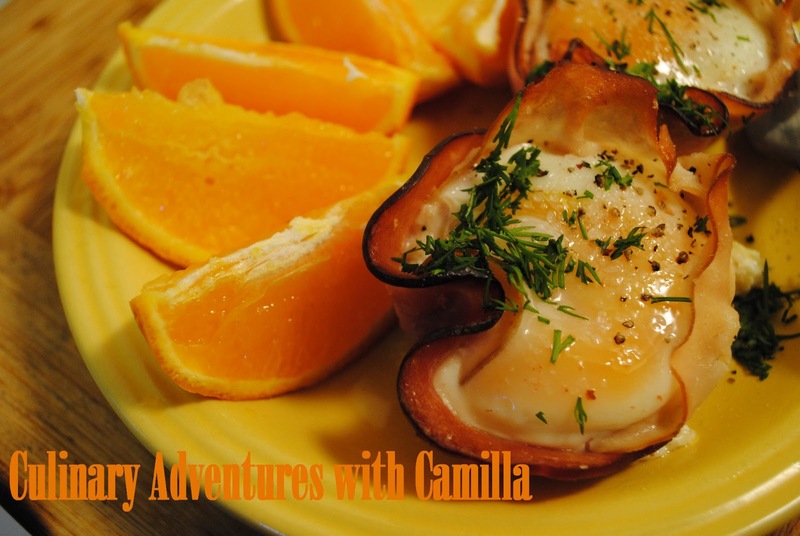 Ham and eggs in a neat little package! Love. I've seen these before, but have never made them. They look so easy and portable. I so love baked eggs, simple to make and delicious! Also perfect for a crowd. I haven't tried these little cups yet but now you have motivated me as they look so very good!! These are wicked awesome. I think these would be perfect at any brunch.